Diva Chix Forums > Contests > Site-Run Contests > Completed Competitions > Diva Chix 10th Anniversary! It is Diva Chix 10th Aniversary! 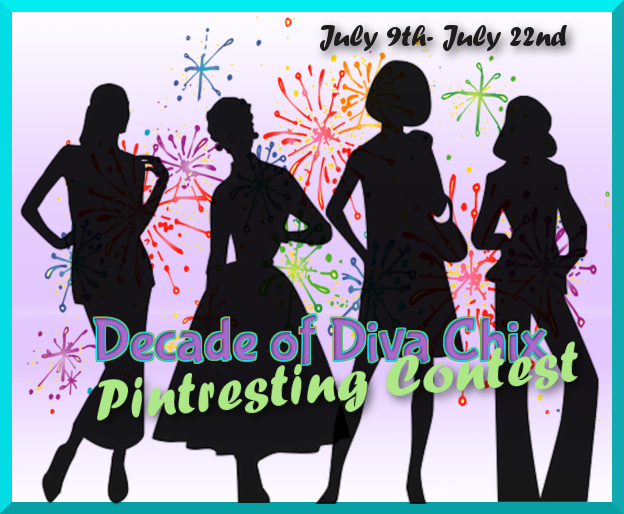 A Decade of Diva Chix! This is for all of the Pinterest fanatics out there who are in love with Diva Chix! All you have to do is follow Diva Chix on Pinterest, especially the A Decade of Diva Chix Board, post a link of your Pinterest page (it is the most effective way to find you and invite you to pin) in this thread or on the cover pin of the A Decade of Diva Chix Board so that we can invite you to pin to that board and start pinning! Make sure you add your Diva Chix username in your pins just to make sure everything gets counted. Please include: #fashion, #divachix, to each pin. What can you pin? Your favourite divas from a decade ago to now. The sky is the limit! Please make sure to use the following hashtags: #divachix for each pin. Of course you are free to use other hashtags too. - All DC rules apply. - Sticking to the overall theme is preferential! Last edited by anne-marie; 07-09-2018 at 01:58 PM. YOu have been just invited so feel free to start pinning. Do i save my divas or other peoples divas? Your divas, from now and from the part, other people's divas...any divas that speak about your time on Diva Chix. Hope I did it right- My pins are a combo of my journey over the years on DC- milestones, new poses, events, etc.. and Decade fashions- kind of mish mash, but my DC story! Thank you both for entering. The judging will be finished in the next day or so. Congratulations. The prizes will be awarded soon. Thank you for entering.